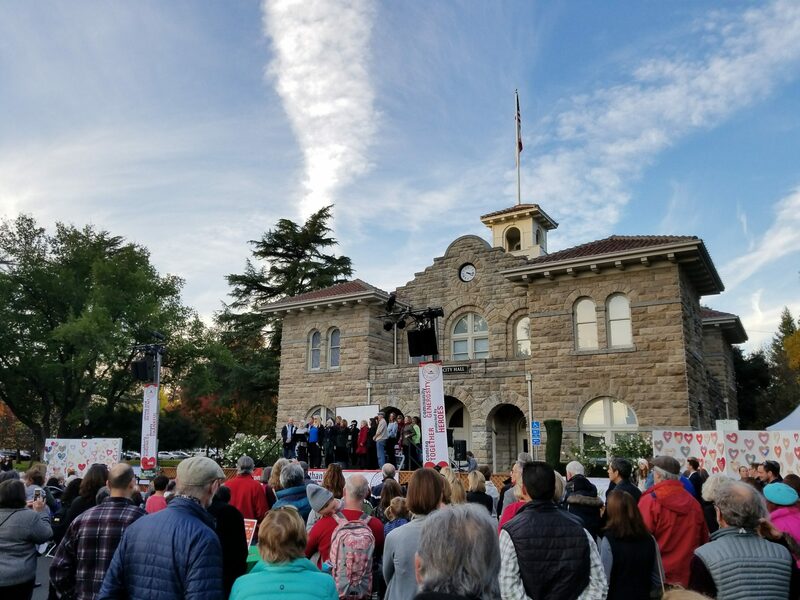 During the fires, in the face of great loss, fear, and uncertainty, our community came together in incredible ways to support each other and those who fought to protect our Valley. We were all inspired and heartened by "The Love In The Air". The City of Sonoma partnered with local arts organizations, schools, businesses, and residents of all ages to create tangible expressions of their emotions and perspectives in the fire's aftermath, using words or artwork on hearts. 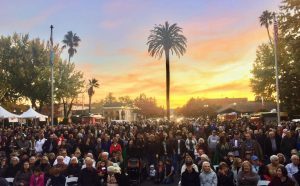 The "Heart Art" pieces created by our community were displayed on the Plaza at our November 18th Civic Ceremony and Community Gratitude Gathering, along with other locations throughout our Valley. 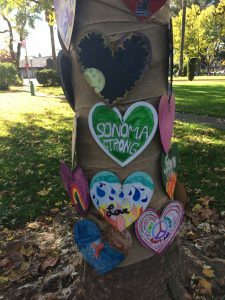 Hundreds of pieces of Heart Art have been created. 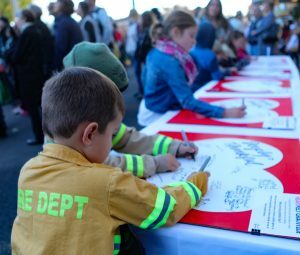 Thank you to all who have helped to share The Love In The Air! 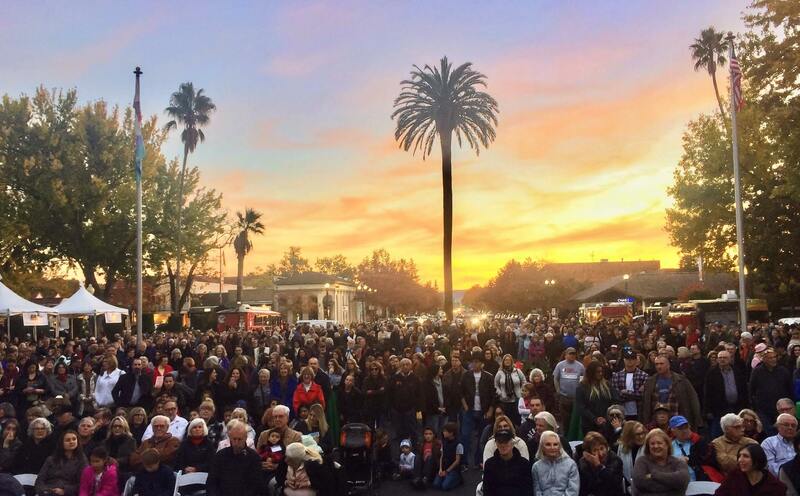 Thousands of Valley residents came together at the Community Gratitude Gathering. In addition to viewing the Heart Art, we heard from our local public safety leaders and shared thankfulness in words, video imagery, and song with the countless individuals and organizations who are helping to carry each other through the challenges of the fire and its aftermath. 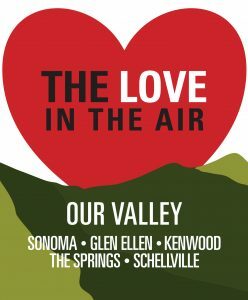 Special thanks to our Heart Art helpers: Sonoma Valley High School engineering program for cutting out 300 wooden hearts; Friedman's Brothers Home Improvement for donating the wood; Hanna Boys Center for making the large hearts we have in front of fire stations and local stores; Bob Sanders for the giant heart in front of the City Hall palm tree; Fine Line and Vine Country Signs for creating hearts to be decorated at the Community Gratitude Gathering; Kid Scoop for providing drawings and letters made by their readers; the Sonoma Community Center, Art Escape, Sonoma Valley Museum of Art, and the Boys & Girls Club for holding sessions for people to create their art; Rotary and the Sonoma Valley Mentoring Alliance volunteers for their help in setting up the art installation; and Lisa Carlsson and Well Design for helping to create the "Love In The Air" Plaza banners.